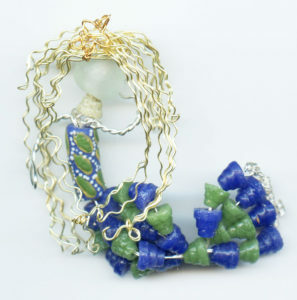 "Using Krobo recycled glass beads from Ghana in West Africa, custom design and make your own mermaid. Keep her as a companion, an ornament, or a pin. She'll be a real conversation starter -- and she'll bring you good ju-ju, too!"